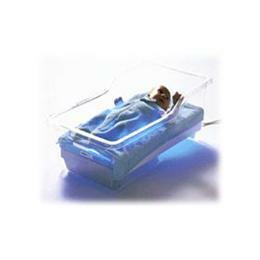 Medela places the therapy for the newborn in the cradle, so to speak. Because the BiliBed can be fitted into most standard hospital cots, the baby can remain in its mother's room round the clock. The mother can participate in the care of her baby, thus freeing staff for other duties. The soft, cuddly therapy blanket keeps the baby in the correct position.